The gaming industry is booming and companies are hiring talented game designers, developers, 3D modelers, animators, and storytellers like never before. Now is the perfect time to turn your love of video games into a dynamic – and lucrative – career. 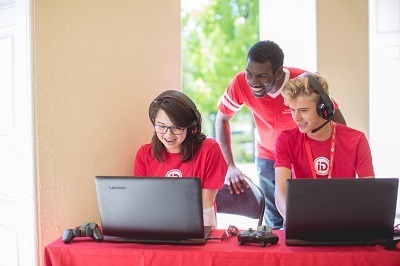 At this intensive game design and development program, students ages 13-18 receive elite instruction in a collegiate setting, interact with industry pros, and network with peers. Equipped with an impressive portfolio and two weeks of insider experience, you’ll graduate well-prepared to break into the gaming industry. Our pre-college programs immerse teens in the world of video game design and development. With personalized instruction and an average of 8 students per instructor -this isn't a classroom. Courses are led by hand-selected industry professionals. We're talking indie game designers. Big-time game developers. 3D level designers. You'll gain valuable STEM skills, work hands-on with cutting-edge software, and gain industry insights to see how the pros work. 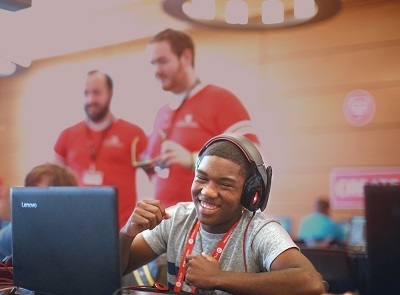 Beyond exposure to game industry essentials, teens can expect late-night gaming tournaments along with extra time to hang with new friends, explore campus, and get a taste of collegiate life. iD Tech also offers tech camps for ages 7-17, all-girls tech camps for ages 10-15, and coding and engineering academies for teens ages 13-18.